July 4 Giant Puppets in the Vallejo parade! 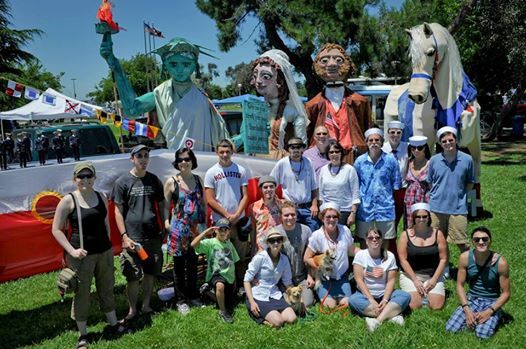 Each year an intrepid group of guild members and Vallejo Giant Puppeteers take to the streets of Vallejo to explore the boundaries of giant street theatre in the 1.25 mile walk from parade start to the Bay. (parade starts at 10AM.) Puppet volunteers are meeting at 9:00 am, Georgia St, Vallejo, CA 94590. Sign up to help manipulate, support, or guide a giant puppet or help with some of our smaller puppets extras on Facebook. See you there!